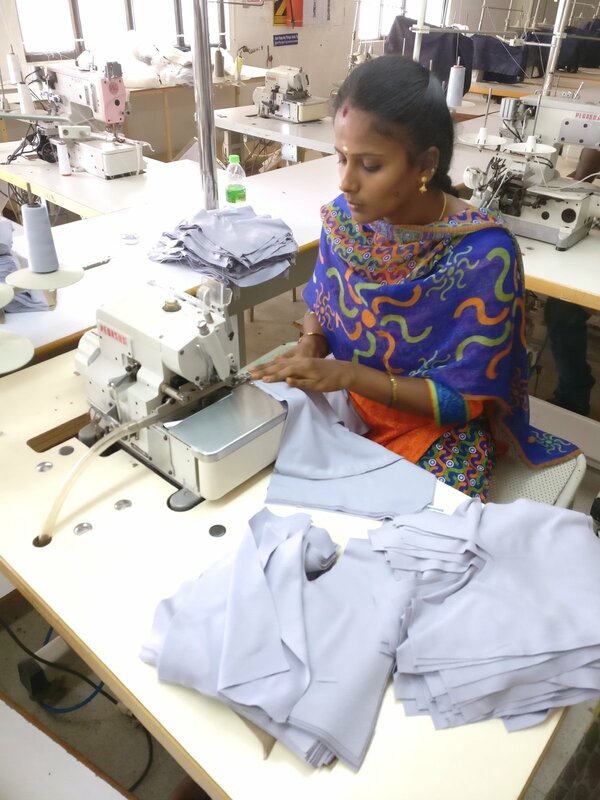 Mid April I made a trip to Tirupur in India to visit our amazing production facility. As you may know, all our clothes are GOTS-certified. This means among others that the cotton is grown organically, there are no harmful chemicals used on the production process and the production workers work under fair, safe and hygienic circumstances. The certifiers check these circumstances regularly, but I really wanted to meet as many people as possible involved in the production proces and see as much as possible for myself. And all in all I must say the trip was wonderful. The people were so kind, helpful and warm. The facilities looked great. 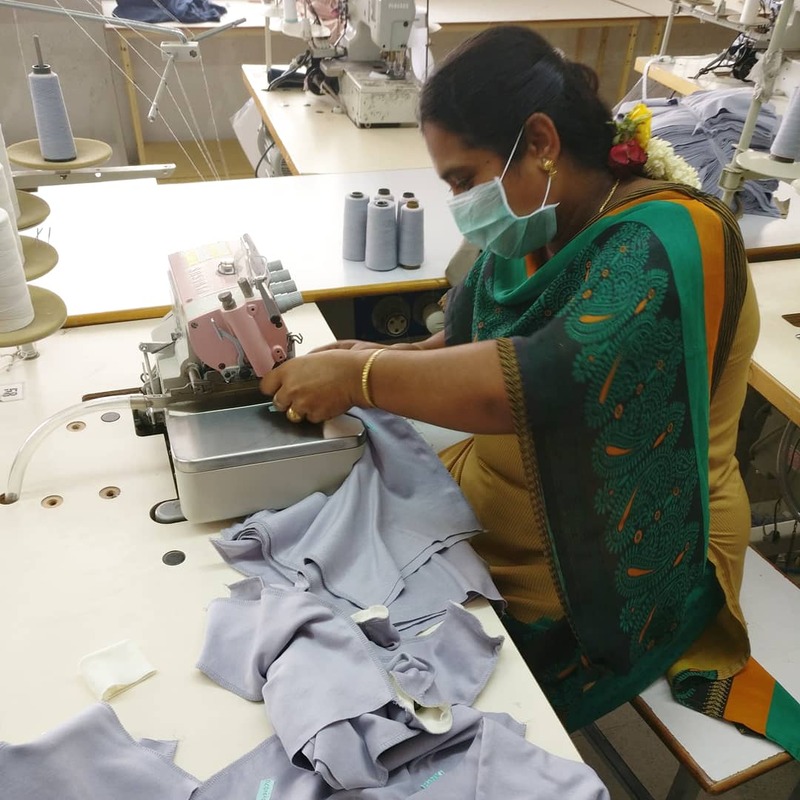 It was fantastic to see how they were innovating with new equipment, how they were contributing to a better environment far beyond the required standards and how they genuinely seemed happy to work there and with each other. It wasefficient working there on new ideas and making some last minute decisions on details. I also got to see the actual cutting and sewing of some of our clothes. Next to the production and meetings everyone to food was also fantastic. Especially the lunches were so plentiful and tasty that dinners were hardly necessary. The city itself is not very suitable for touristic endeavors, so I did not explore the city too much. However, just experiencing the daily life a little bit by observing and talking to people around me gave me a perspective on life in Tirupur. Next time I will definitely plan sometime to explore the area and see more of what this region has to offer. 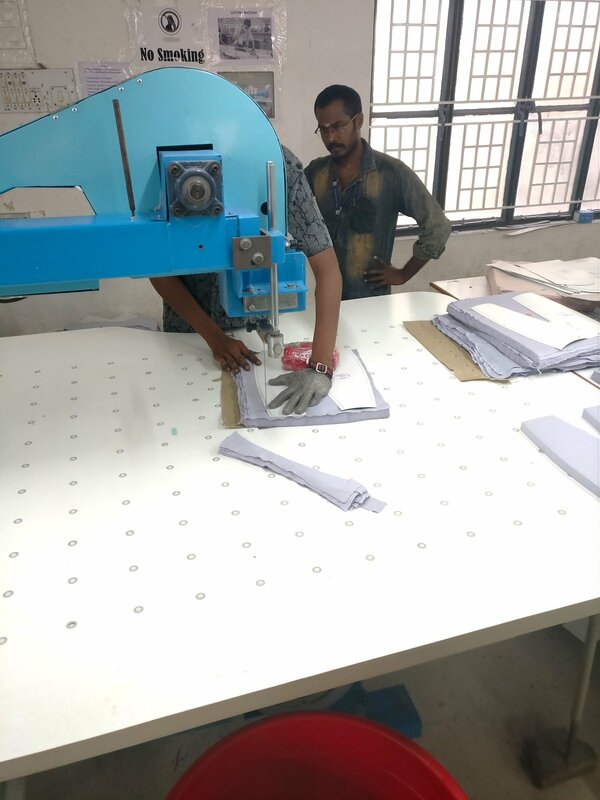 For now the trip has given me even more confidence to tell people about the production of our baby clothes and the people who make them. A special thanks goes out to Mohan, Hema, Janarthan, Renuka, Jayaram and the rest of the BiNKi team! Hope to see you soon! BiNKi in the Huffington Post!